CONTEST: Win Tickets to a Capital Cities DJ Set! This coming Saturday, July 19, Sebu Simonian will be presenting a special Capital Cities DJ set at Tattoo Queen West in Toronto and Replicant Ears wants to make sure our wonderful readers get to go! The contest closes on July 17 at 5:00pm EST. Winners will be selected randomly on July 17 after 5pm and will receive two tickets to see the Capital Cities DJ set live at Tattoo Queen West on July 19. The show is subject to capacity and is a 19 + event. 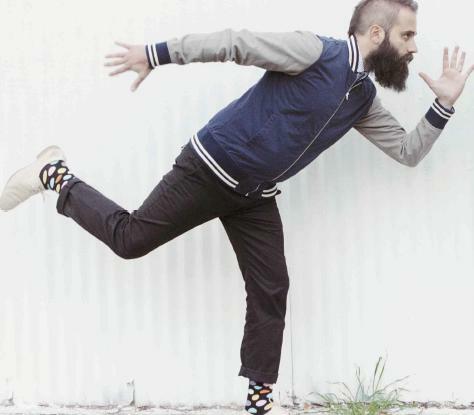 Check out our review of Capital Cities debut LP In a Tidal Wave of Mysery and the official website of our Artist of the Month, Scene. WHEN: Saturday, July 19, 2014. 10pm doors.